“Philippines, mahal kita. I hope to make you proud,” wrote the Philippines’ bet earlier today. Best of luck, Catriona! Philippines’ bet Catriona Gray has departed for Thailand earlier today, November 29, for the much-anticipated Miss Universe 2018. The annual beauty pageant is set to take place on December 17 at the Impact, Muang Thong Thani complex in Nothaburi. 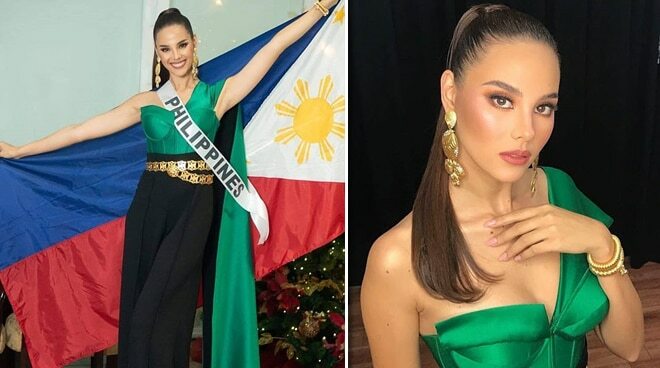 Clad in a bespoke emerald corset by Filipino designer Anthony Ramirez, the 24-year-old looked regal in an impromptu photoshoot at the Ninoy Aquino International Airport hours before her flight. “Off to Thailand to represent my beautiful country the Philippines in [Miss Universe]. Philippines, mahal kita. I hope to make you proud,” wrote Catriona. The Miss Universe 2018 will be hosted by TV personality Steve Harvey and model Ashley Graham, with a special performance from R&B singer, Ne-Yo.